Dorm Safe .7 Cu Ft. 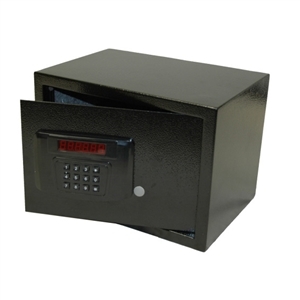 This Sentry Safe Dorm Safe - includes digital keypad and is perfect for small valuables like jewelry, passports, keys, wallets, cameras and more. .7 Cubic Ft of storage. Can be secured to dorm furniture with cable lock ML1001 sold separately as an accessory. 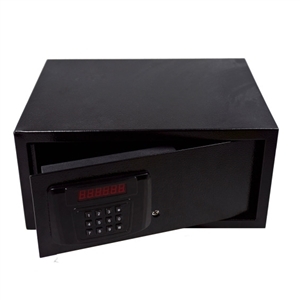 *Dorm Safe Exterior Dimensions: 7.1"H x 16.9"W x 14.6"D * Exterior Dimensions (metric): 18.0cm H x 43.0cm W x 37.0cm D * Interior Dimensions: 6 .9"H x 16.8"W x 11.6"D * Interior Dimensions (metric): 17.6cm H x 42.6cm W x 29.4cm D * Capacity: 0.7 cu. ft. na cu. in. * Capacity (metric): 24.0 cu. lit. na cu. cm * Ship Weight: 23 lb. 10.4 kg.